Bold Flavors of Thai ! Turn up the heat and surrender to the mouth watering flavors of Thai cooking with this cracking menu that combines the best of sweet, sour, hot and salty. 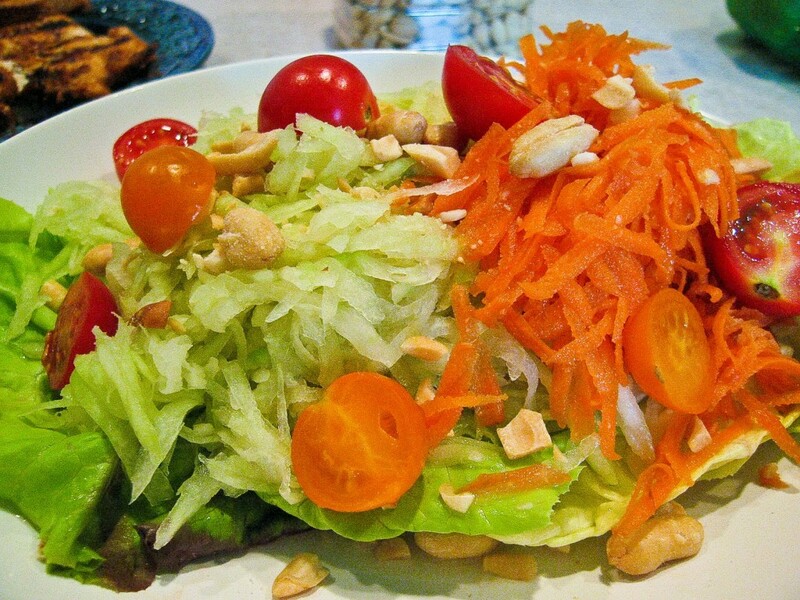 Som tam is a spicy salad made with unripe papaya. The key flavors come from the sour lime, hot chili, salty fish sauce and sweet palm sugar. Traditionally the ingredients are pounded in a mortar but you can process them separately and toss together in a salad bowl as well. Put the papaya in a colander and pass it through running water, then drain.